I have always had an absolute love and fascination for all aspects of the natural world. Growing up in South Africa, with parents who took us on so many adventures throughout this country, has formed the foundation of my love for nature and being out in the wilderness. I was born and raised in Johannesburg and obtained my BSc (Hons) in Ecology and Conservation Science from Wits University. During my honours year, I was lucky enough to have my project based in the Kruger National Park, were I studied the effects of herbivore exclusion along the Sabie River. 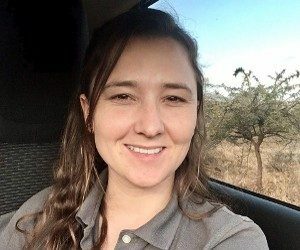 After working for a mining and engineering firm for a couple of years (as an environmental consultant) I finally came across an opportunity with Wildlife ACT – to work in the bush and dedicate my time and effort towards wildlife conservation! Such a privilege and a dream come true.